Thomas College swept the University of Maine at Farmington 4-1, 7-0 in a North Eastern Athletic Conference baseball doubleheader this afternoon at Hippach Field. The Beavers (5-22, 4-12) are scheduled to close out the regular season Tuesday at Bates College. First pitch is scheduled for 2 p.m. The Terriers (12-22, 9-7) are slated to visit University of Southern Maine Tuesday at 3:30 p.m. In the opener, Rob Nutter (Kennebunk, Maine), Josh Gray and Daniel Ierardi (Dunstable, Mass.) each rapped an RBI single in the sixth inning as the Terriers claimed a 4-1 win over the Beavers. The Terriers led 1-0 on a Ben Goodall (Norway, Maine) RBI single in the fifth before building a 4-0 lead in the sixth on a troika of run-scoring hits. Jake Chamblee (South Berwick, Maine) went the distance for the win. Chamblee scattered nine hits, while striking out four and walking on. The Beavers managed to string together four hits in the seventh to scrape together a run on a Josh Garneau (South Portland, Maine) RBI single, but Chamblee was able to battle out of the bases-loaded jam with a strikeout. 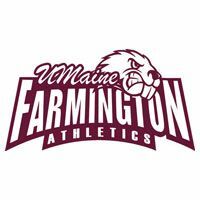 Matt Levine (Pelham, N.H.), Jack MacVane (Mechanic Falls, Maine) and Ian McAlister (South Berwick, Maine) each singled twice for UMF. Connor McNeill (Portland, Maine) took the loss, allowing seven hits, while striking out two, in five innings. Cody Vigue (Skowhegan, Maine) clubbed a single and a double for the Terriers with Goodall and Gray each collected a pair of hits. In game two, Eric Sucy (Belgrade, Maine) tossed a five-hit shutout as the Terriers blanked the Beavers 7-0. Sucy struck out five and hit a batter in the complete-game performance. Gray and Taylor Livingston (North Andover, Mass.) delivered a run-scoring hit each in the opening frame as the Terriers built a 3-0 lead. With Thomas holding a 4-0 lead after three innings, the visitors capitalized on four UMF errors for another three runs for the 7-0 cushion. Gray and Vigue each singled, doubled and drove in a run in the victory. Levine singled twice for UMF with McNeill belting a ground-rule double. McAlister took the losing decision for the Beavers. The freshman gave up seven hits, while striking out three over five innings. Pitchers: Thomas College - Chamblee. Me.-Farmington - Connor McNeill; Will Griffiths(6). C. McNeill faced 2 batters in the 6th. Pitchers: Thomas College - Sucy. Me.-Farmington - Ian McAlister; Patrick Wrigley(6). Notes: UMF will play #1 seed Husson in the NEAC East Baseball Tournament on Friday.